Oh, how I wish I could make it to this event! June 8th-9th at Internet Archive, featuring Vint Cerf, Brewster Kahle, and more. We are bringing together a diverse group of Web architects, activists, engineers, archivists, scholars, journalists, and other stakeholders to explore the technology required to build a Decentralized Web and its impact. 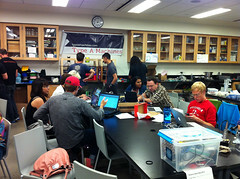 Wrapping up another epic year of Science Hack Day SF! 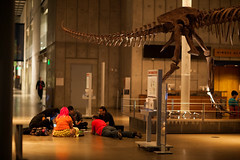 It looks like this year’s Science Hack Day in San Francisco was particularly excellent. Tantek told me about building a portable home planetarium—sounded like a blast. What a fantastic collection of creators! If I can do it, anyone can. And anyone should. 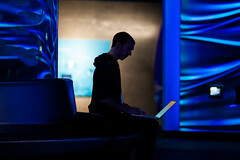 Later that year, Ariel organised a Science Hack Day in Palo Alto at the Institute For The Future. It was magnificent. Since then, Ariel has become a tireless champion and global instigator of Science Hack Day, spreading the idea, encouraging new events all over the world, and where possible, travelling to them. I just got the ball rolling—she has really run with it. 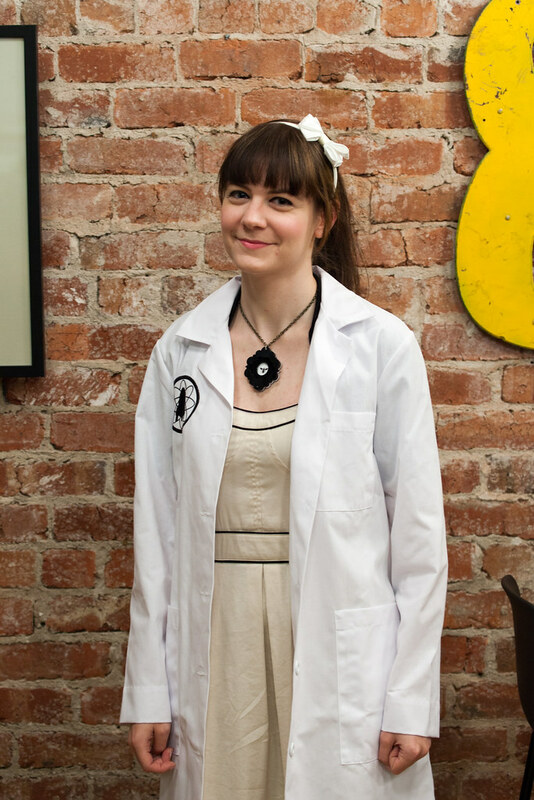 She organised another Science Hack Day in San Francisco for last weekend and I was lucky enough to attend—it coincided nicely with my travel plans to the States for An Event Apart in Austin. Once again, it was absolutely brilliant. There were tons of ingenious hacks, and the attendees were a wonderfully diverse bunch: some developers and designers, but also plenty of scientists and students, many (perhaps most) from out of town. 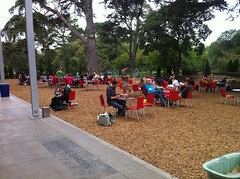 But best of all was the venue: The California Academy of Sciences. It’s a fantastic museum, and after 5pm—when the public left—we had the place to ourselves. Penguins, crocodiles, a rainforest, an aquarium …it’s got it all. I didn’t get a chance to do all of the activities that were provided—I was too busy hacking or helping out—like stargazing on the roof, or getting a tour of the archives. But I did make it to the private planetarium show, which was wonderful. 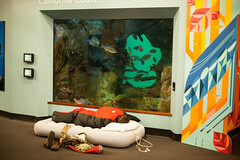 The Science Hackers spent the night, unrolling their sleeping bags in all the nooks and crannies of the aquarium and the African hall. It was like being a big kid. 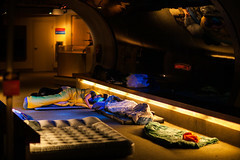 Mind you, the fun of sleeping over in such a great venue was somewhat tempered by the fact that trying to sleep in a sleeping bag on just a yoga mat on a hard floor is pretty uncomfortable. I was quite exhausted by day two of the event, but I powered through on the wave of infectious enthusiasm exhibited by all the attendees. Then when it came time to demo all the hacks …well, I was blown away. So much cool stuff. Ariel and her team really outdid themselves. I’m so happy I was able to make it to the event. 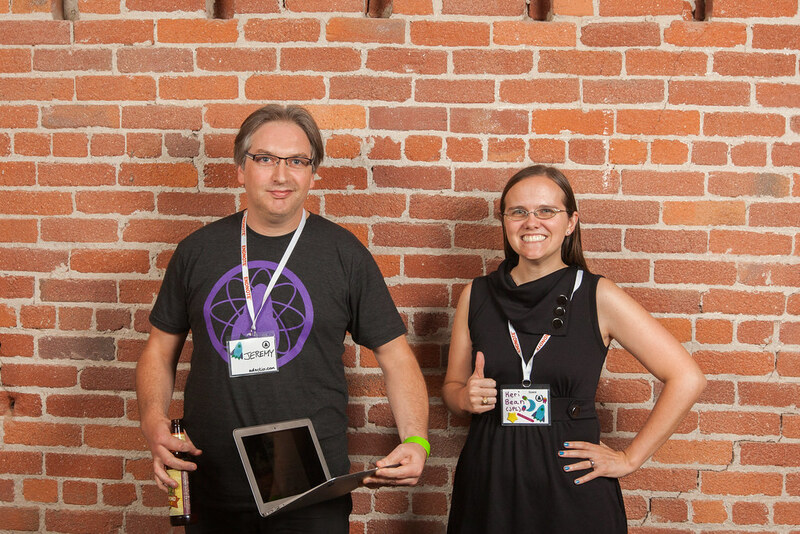 If you get the chance to attend a Science Hack Day, take it. And if there isn’t one happening near you, why not organise one? Ariel has put together a handy checklist to get you started so you can get excited and make things with science. 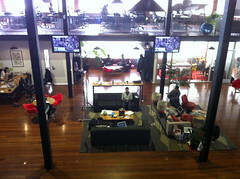 I’m still quite amazed that this was the 24th Science Hack Day! When I organised the first one three years ago, I had no idea that it could spread so far, but thanks to Ariel, it has become a truly special phenomenon. Chloe writes up her experience of the excellent Science Hack Day in San Francisco and describes the hack we built together: Radio Free Earth. 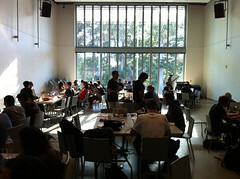 Wonderful photos from Science Hack Day San Francisco, courtesy of Matt B. 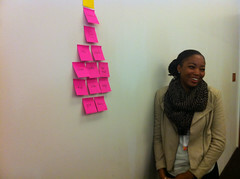 As predicted, today’s schedule of two back-to-back half-day workshops at UX Week was indeed quite exhausting. But it was also very rewarding. 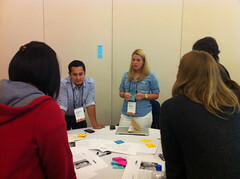 Every time I run a workshop, I always end up learning something from the experience and today was no exception. 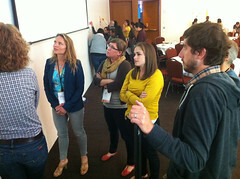 The attendees were a bright bunch with lots of great questions and discussion points. Once the workshops were done, I felt pretty exhausted. Jessica and I had a quiet night sampling the culinary delights of M.Y. China conveniently located just across the street from our hotel so I could collapse into bed at the end of the day. 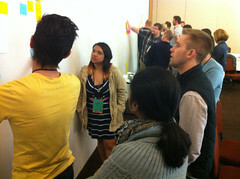 UX Week kicked off today. It’s a four-day event: one day of talks, followed by two days of workshops, followed by another day of talks. 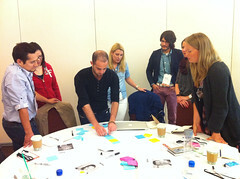 I’ll be spending all of the third day doing workshops back-to-back. Bizarrely, even though it’s a four-day event, they only offer speakers three nights of accommodation. Seems odd to me: I would’ve thought they’d want us to stick around for the whole thing. So, as I don’t get my hotel room until tomorrow, today I had to make my way from Tantek’s place in the Haight all the way over to the Mission Bay Conference Center—a fairly long MUNI ride. Alas, that meant I missed Steven Johnson’s opening talk. Curses! Fortunately I did make it time for Ian Bogost’s talk, which was excellent. In the afternoon, I walked over to Four Barrel, the excellent coffee shop that was celebrating its fifth birthday. They had a balloons, a photo both, a petting zoo, games, and best of all, free coffee. Tom popped by and we had a lovely time chatting in the sun (and drinking free coffee). Seeing as I was in the Mission anyway, it would’ve been crazy not to have a mission burrito, so a trip to Papalote quickly followed. Best of all, Erin popped by. Then, as we were heading home via Dolores Park, we met up with Ted. Just like I hoped! Today was mostly a travel day. The flight from San Diego to San Francisco is a short hop, but when that flight is delayed by two hours, you’re going to spend far longer than intended within the confines of an airport. That’s what happened to me and Jessica today. Still, it’s not a bad airport as airports go. And as airports go, it went. With the delayed departure, the flight itself, and then the taxi ride in from the airport, by the time we finally made it to Tantek’s place it was late afternoon. 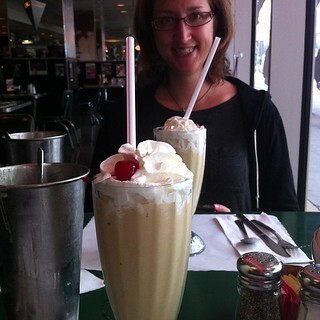 But we were still made it in time for our dinner date with Cindy and Matt, and Daniel and Sharon. We uber-ed over to Daniel and Sharon’s place (“to uber” is a perfectly cromulent verb in this town). For once, it was a bright, clear day in San Francisco and we were treated to the gorgeous view of the city laid out below us as we went from the Haight to Bernal Heights. 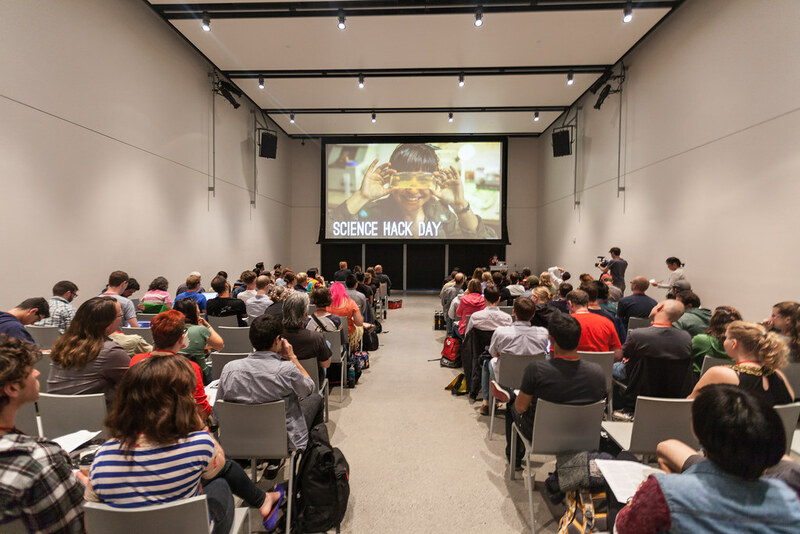 Registration is now open for Science Hack Day San Francisco at the end of September. Hope to see you there. 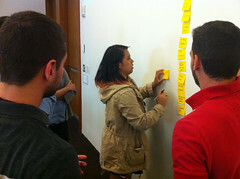 A nice round-up of the most recent Science Hack Day in San Francisco. Oh My Science! 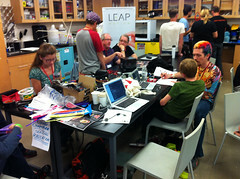 It looks like the most recent Science Hack Day in San Francisco was great. 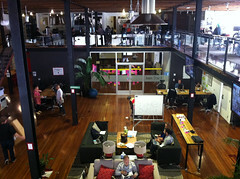 The next Science Hack Day in San Francisco will be at the start of November. It would undoubtedly be a great event …but it needs sponsorship. Do you know anyone who could help out?